Gorgeous sparkle with this man-made 'gemstone'. 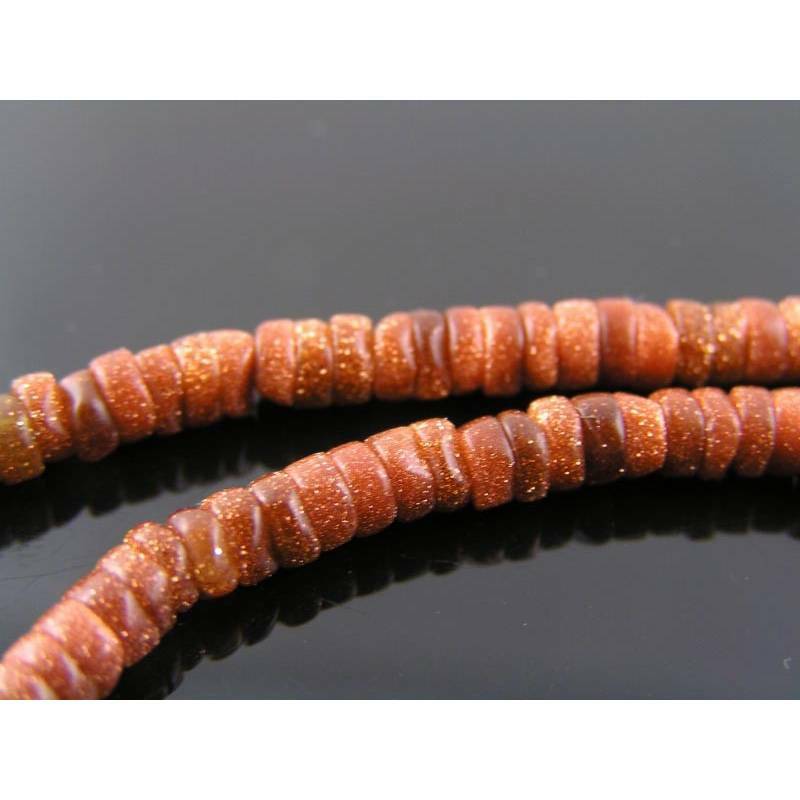 Goldstone is a man-made glass, sometimes also called aventurine glass or sandstone. 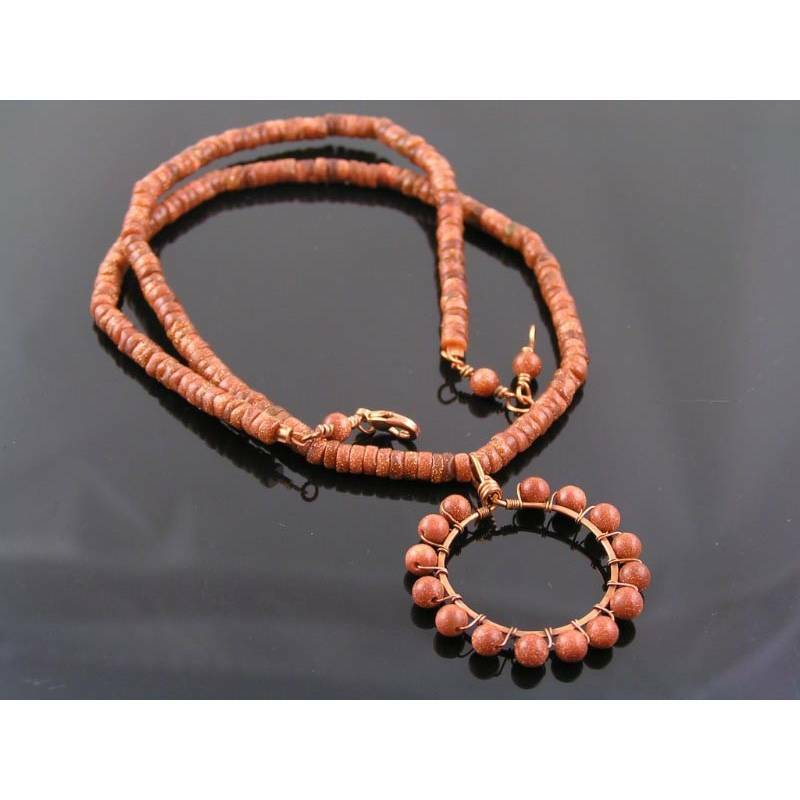 It has great sparkle and matches wonderfully with copper. 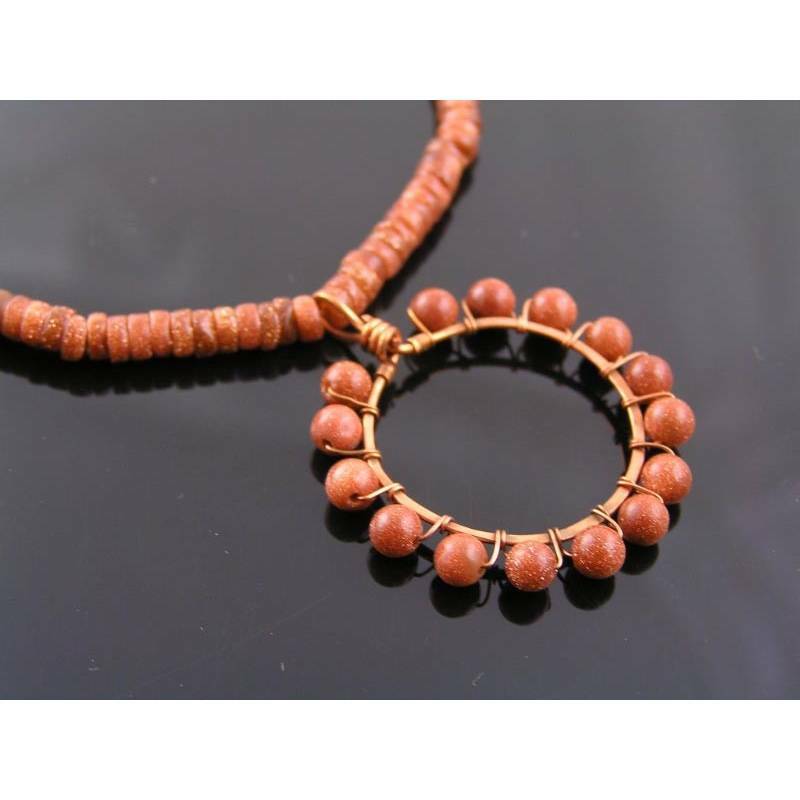 For this necklace, I hand formed a circular pendant and wire wrapped it with small round goldstone beads. It looks a bit like a sun now. The pendant is connected to a strand of goldstone tyre shaped beads. I finished the necklace with two bead connectors that way you can use the necklace at 42 to 45cm. Closure is a lobster claw clasp. Diameter of the sun pendant is 3cm and all metal parts are solid copper.